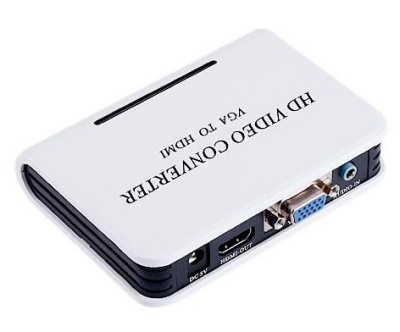 Connecting your PC (either desktop computer, Mac, or Laptop) to your TV has become an extremely popular requirement, especially with the growth of video streaming by companies such as NetFlixTM which now allow customers to download or stream video directly to one's PC. 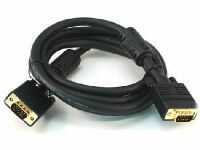 Connecting your PC to a TV can be a very simple and straight forward task if your TV has the appropriate input connection. Many newer PCs (desktops, laptops, and Mac's) have state-of-the-art video outputs - including DVI-D, HDMI, and now "DisplayPort" (DP). The below chart will help determine which cable - or converter box - will be suitable for this task. Our solutions are offers from "best image quality to worst". 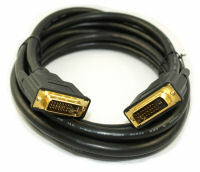 The solutions are strictly dependant on the video output port that your computer has, and the video input port that your TV has. Don't forget the audio! 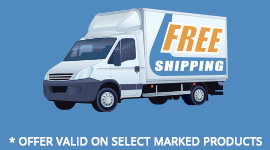 Click the LINK or IMAGE of product on RIGHT to view suggested product. We offer the following possible solutions. To determine which solution will work for your application, you will need to determine the video output port of your computer, and the available video inputs of your television. 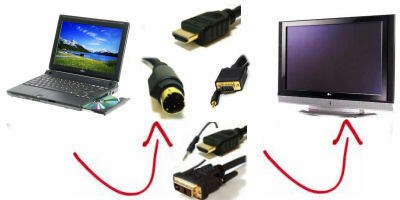 As DVI technology is VIDEO ONLY technology, the AUDIO from your PC will need to also be connected. 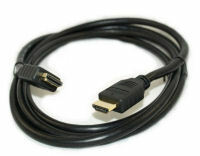 Although HDMI accepts both AUDIO and VIDEO input, because the DVI SOURCE connection only outputs video, you will also need a seperate audio cable. 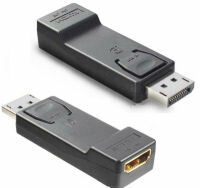 As VGA technology is VIDEO ONLY technology, the AUDIO from your PC will need to also be connected. 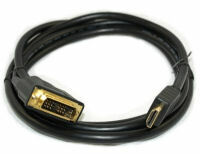 As DVI-D technology is VIDEO ONLY technology, the AUDIO from your PC will need to also be connected. Tech Note: As the video will be going through a converter, and the audio run directly from your PC to the TV, the resulting audio and video MAY be slightly "out of sync"